MU69 could be hiding a strange secret: it’s one object, not two. 2014 MU69 is New Horizons’ next target. Now, data indicate it could be a contact binary – two objects orbiting each other so closely that they touch. NASA/JHUAPL/SwRI/Alex Parker. 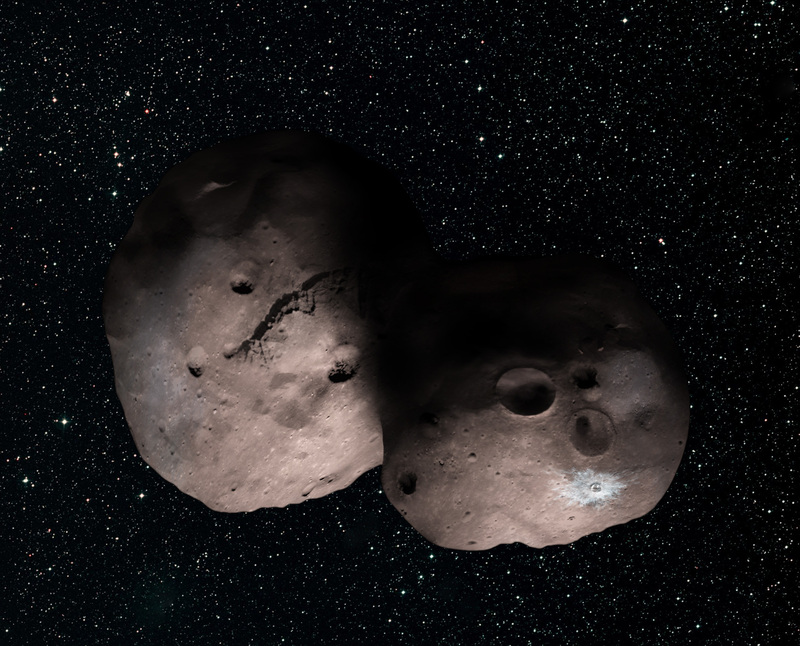 New Horizons is getting the ultimate two-for-one deal. The intrepid craft, which flew through the Pluto system in 2015, is en route to 2014 MU69, an icy remnant from our solar system’s formation that lives in the Kuiper Belt. 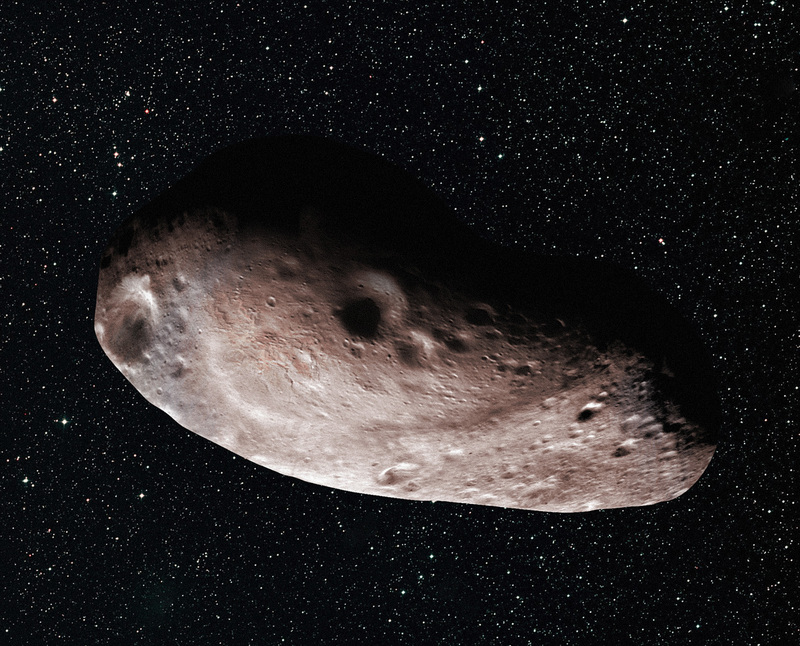 While initially thought to be a chunk of ice less than a few dozen miles in size, a recent occultation event has revealed that MU69 might be even weirder. The object appears to have an odd shape, based on the occultation data (taken when an object passes in front of a background star). In a press release, NASA officials said that it’s either football shaped or, more intriguingly, a type of object called a contact binary. If MU69 is not a contact binary, it might instead be football shaped. NASA/JHUAPL/SwRI/Alex Parker. A contact binary is composed of two objects close enough that they actually touch in an orbital dance around each other that leaves them relatively intact. The comet 67P explored by ESA’s Rosetta probe is believed to be a contact binary. We’ll find out for sure in 2019, when New Horizons flies by the object – or objects.